Your digestive system takes a lot of abuse. The foods you eat, especially that tasty junk food or bad-for-you foods you know you shouldn’t eat, can cause your body to feel rundown. And the problem gets worse when you take antibiotics, which will destroy a lot of the good bacteria in your gut. Hyperbiotics Pro-15 aims to correct this issue. Probiotics are actually live bacteria. Before you squirm, you should know that this is good bacteria, and yeast, which is shown to be good for your health. Think of this as the good bacteria that your body actually needs. It’s hard to imagine any bacteria being good, but it’s true. In fact, your body is filled with bacteria that aims to keep your gut healthy. The problem is that good bacteria will die off when you take certain medications, eat bad food and don’t live a healthy lifestyle. Probiotics work to reverse this bad bacteria loss by helping your gut restore the good bacteria in your body. Think of it as restoring your body’s natural bacteria balance. Hyperbiotics Pro-15 uses time-releasing pearls that will slowly release the probiotics into your body. The slow release allows for your gut’s good bacteria to be repopulated over time. 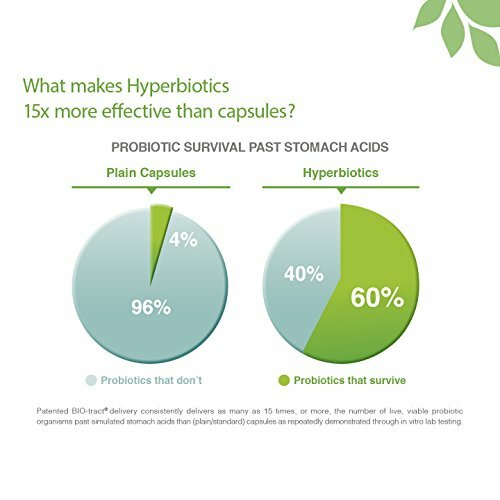 And thanks to the unique formulation and release system, Hyperbiotics Pro-15 is 15 times more effective than probiotics found in capsule form. If you have stomach issues, want to boost your immune system or even want to lose weight, you know that eating right and taking the right supplements is very important. The age-old saying is true: you are what you eat. And probiotics are jam-packed with good-for-you bacteria that will help your body function on overdrive. But Hyperbiotics has also been developed to be the best probiotic on the market today. Efficient and long-lasting, the slow-release system is what really makes the difference with this probiotic and any other that you buy. Time-released pearls are used in the design, and these pearls will make it through your body’s stomach acids. You see, a lot of the supplements and probiotics that you take will never make it into your system because your stomach acid simply eradicates it on contact. These pearls have been designed to make it through the stomach acid and release the probiotics slowly. You will get the entire capsule, or 5 billion CFUs, instead of having most of it wasted by your stomach acid. The formula and slow release make Hyperbiotics 15 times more potent than the competition. Slow release, over a period of 8 – 10 hours, allows the body to have a steady stream of probiotics over a longer period of time, which is more effective for restoring the bacteria in the gut. And since the release is slow, this means all you need to do is take one dosage per day and you’ll have probiotics being released to your body all day long. When you first start taking your probiotics, you won’t notice this immediate difference on the first day. The replenishment of your gut’s bacteria starts slowly and will then provide you with better overall gut health. After all, 80% of your immune system is in your gut anyway. Yes, you can even start to lose weight when using probiotics. If you want to fit into those tight pants or that dress you’ve been keeping for that special occasion, Hyperbiotics will make sure that you look your best. Weight loss is on everyone’s mind. People want to trim down and look their best. Going to the gym and making sure that you eat right are essential to reaching your goals. Probiotics give you that extra kick that allows you to confidently lose weight and slim down. And you’ll still enjoy all of the great health benefits when taking probiotics. See, scientists suggest that whether a person is fat or thin depends on their bacterial makeup. Studies show that, with 90% accuracy, this is a true statement. The reason for this is that unhealthy gut flora has a way of impacting weight loss. So, no matter what you do, if your gut’s flora isn’t optimal, this means that your entire body will be thrown out of proportion. You’ll have a very hard time losing weight when this statement is true. But when you take probiotics that restore the good flora in your gut, you’ll start to lose weight and trim down that waistline in the process. You’ll also experience a direct mood change and higher energy levels. What happens is that when your gut is in poor health, it will have problems absorbing nutrients. Improper nutrient absorption means that you won’t absorb the nutrients in food or vitamins as you should. Taking a solid probiotic over a long period of time ensures that you can absorb more vitamins and nutrients. I can tell you that within just days of taking Hyperbiotics Pro-15, your stomach bloat will start to diminish making your stomach much flatter in the process. If you’ve been having issues with being “regular,” you’ll also be happy to know that probiotics will make you go. A healthy gut will allow your digestive system to work better, allowing you to get rid of the waste in your body much more efficiently. Oh yeah – if you’ve ever used probiotics in the past, you know that most of them require you to refrigerate the product. I love this because I can put the probiotics right on my table or next to my keys so that I never forget to take them. Otherwise, I will forget to take my probiotics like I do with anything that’s not staring me right in the face all the time. And it does all of this with little side effects. You know that there are always some side effects with everything. But the good news is that Hyperbiotics Pro-15 isn’t going to cause you to suffer any serious side effects. In fact, this probiotic is one of the best in terms of potential side effects. Every person’s body is different, and some people do better with one probiotic formula than another. I wanted to mention that in the most serious cases, when the product doesn’t agree with the person’s body, they may experience acne or gas. Gas will usually dissipate after a few days or weeks. Acne is another issue all together, and if this does occur, which again is very rare, return your order. Of course, there are going to be some negative side effects that people suffer from, but if all you have to worry about is the above three points and nothing else, I think it’s completely worth taking this supplement. This means that most people with any form of sensitivities will never experience any negative side effects. You’ll be able to take Hyperbiotics without the fear of severe allergic reactions or the like. You’ve read about all of the benefits before – they’re exceptional. Click here to pick up your first bottle of Hyperbiotics Pro-15 today. What About the Pro-15 Advanced Formula? There’s always another formula isn’t there? An advanced formula is almost always available with supplements, and this formula is also available for Pro-15. Should you buy it? Sure, but before you do let me tell you the main differences in each type. Pro-15 has 5 billion CFU from 15 different strains. Pro-15 Advanced has 15 billion CFU from 15 different strains. Scientifically, it gets very confusing when trying to explain CFUs, but I am going to give you the numbers so that you can make your own decision. Colony forming units (CFUs) are the bacteria that is in each capsule. When I say that there are 5 billion, this is in each BIO-tract pearl. But this means that there is an equivalent of 75 billion CFU in a standard capsule for the regular Pro-15. So, as you can imagine, there’s three times the amount of CFUs in the advanced version. A single capsule of the Pro-15 Advanced contains 225 billion CFU equivalent. This is the primary difference between both of these formulas. Each formula is virtually the same as the others. The Advanced is a beefed-up version of the Pro-15 with three times the amount of CFUs. Imagine this as being like taking a 1,500 mg tablet of Vitamin C instead of a 500 mg tablet. Well, a CFU is how many bacteria is capable of dividing and forming colonies. Higher CFUs don’t always mean they’re better. If you take a probiotic daily, you can suffice with 5 billion – 10 billion CFUs. Higher CFUs, as seen in the advanced formula, are better for trying to get over some sort of health issue or if you don’t plan on taking Hyperbiotics Pro-15 daily. I’m a stickler when it comes to guarantees. There are a lot of options out there with warranties, and if a product doesn’t offer any guarantee, I simply find another product that does. This means going to a direct competitor. And the manufacturer of Hyperbiotics understands this. The company expects their customers to love their formula, and if you don’t like their formula, you can return the bottle. You never have to worry about the company asking you questions or begging you to give their product another try. “No questions asked“ is their policy. You will also be able to ask to try another formula, free of charge. 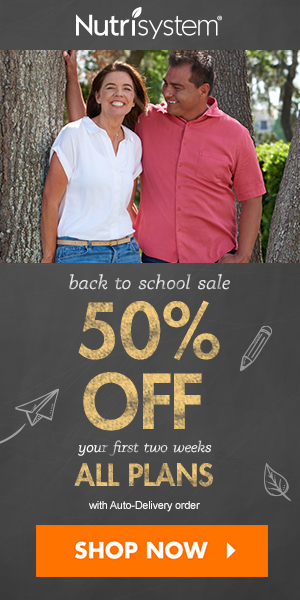 A 100% money-back guarantee is also offered, but the company wants to make sure that you love their product. Anyone that is not fully satisfied will find out that the company’s customer service is always willing to help you out and ensure that you’re 100% satisfied. You can’t really argue with this guarantee. There’s nothing to lose when you give Hyperbiotics Pro-15. Hyperbiotics should never be purchased from unofficial resellers. In fact, you never want to buy any supplement from eBay or similar sites because you never actually know where your product comes from. And I highly recommend researching the source of products before purchase so that you know exactly what to expect from your purchase. I have done the hard work for you. If you buy from Amazon or directly from the manufacturer, you can be sure that you’re getting the best probiotic supplement without fears of it. And you’ll also have a source of contact when you need to contact customer service or some sort of issue arises with your order. It’s the smart way to buy.